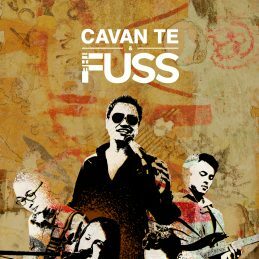 Cavan Te & The Fuss are the most versatile and experienced band in Australia. Accomplished singers and multi-instrumentalists collectively possessing a repertoire of music that spans every popular genre. Performing music from the Rock & Roll era of the 50’s, the Soul of Motown, Stax and Atlantic records from the 60’s, Funk, Disco & Boogie of the 70’s, 80’s Classic Rock and Reggae, 90’s Hip Hop and R&B, Electronic Dance anthems of the 2000’s, and the mega Pop Hits of today. Combine that with the versatility to perform in numerous line ups and stage formats and Cavan Te & The Fuss are a perfect solution for entertainment variety at any event. They are the most in demand act in Sydney for all types of engagement and could make your next function ‘the must attend’ event of the year. In their 27 years of performing they have had the pleasure of entertaining; 3 Prime Ministers, Coca-Cola, McDonalds, Bloomberg, Westfields, Fairfax, Crown, Telstra, DHL, NRL, ARU, Allianz, ANZ, Commonwealth, St George, Westpac, Daikin, Bupa, Nestle, Blooms, and the list goes on.. They have been personally responsible for the live entertainment of these corporate heavyweights in some of the most amazing destinations around our globe including; Hong Kong, Singapore, The Philippine Islands, Hawaii, Fiji, USA, Japan, Europe and the UK.